It’s no secret that I ❤ Here’s Looking at You. I was smitten during the restaurant’s pop-up preview in Chinatown and fell even harder during friends and family dinner. 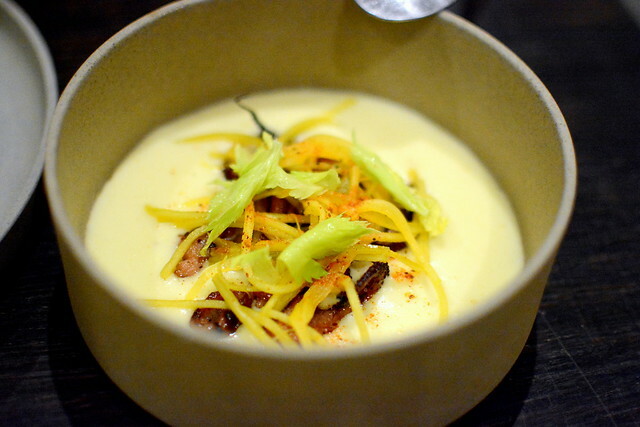 My latest visit was more of the same great stuff—delightful food from Chef Jonathan Whitener, solid service orchestrated by Lien Ta, and an inviting and energetic room. Drinks to start were a must. 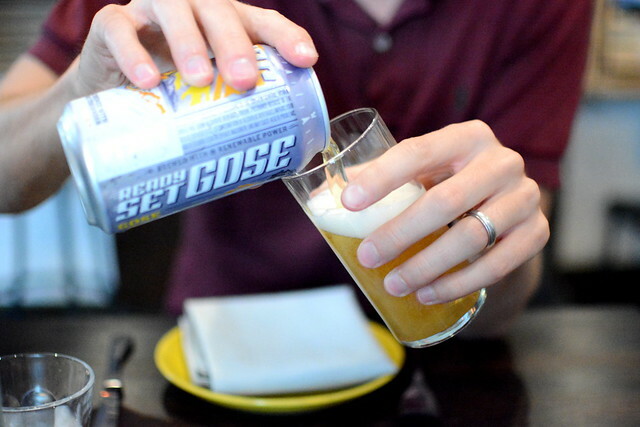 For The Astronomer, a can o’ Uinta Brewing Ready Set Gose ($7). The cocktail list looked superb, but I was in the mood for something simple and bubbly. 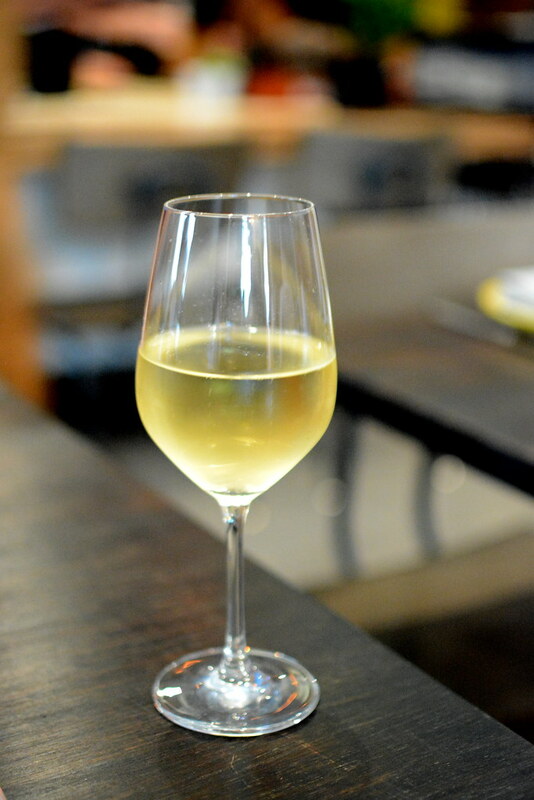 A glass of cava ($16) fit the bill nicely. And then our feast commenced. 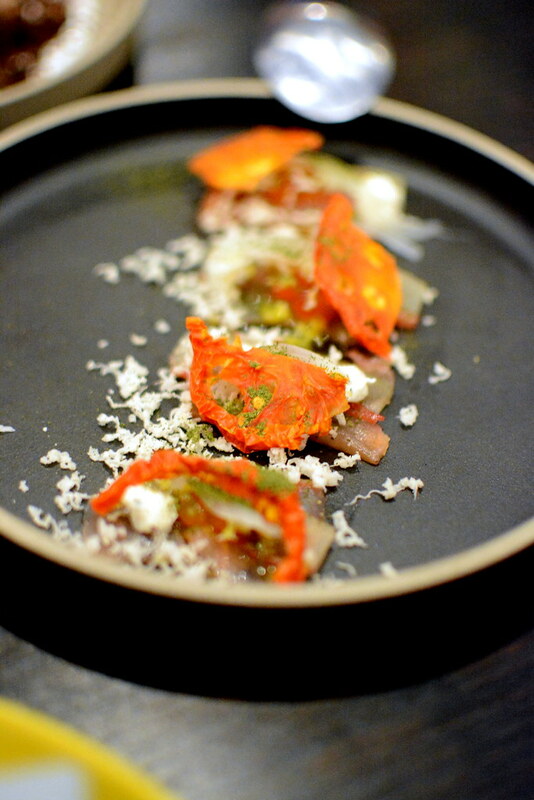 The kitchen sent out the dishes in fine fashion—each one arriving perfectly sequenced and paced. 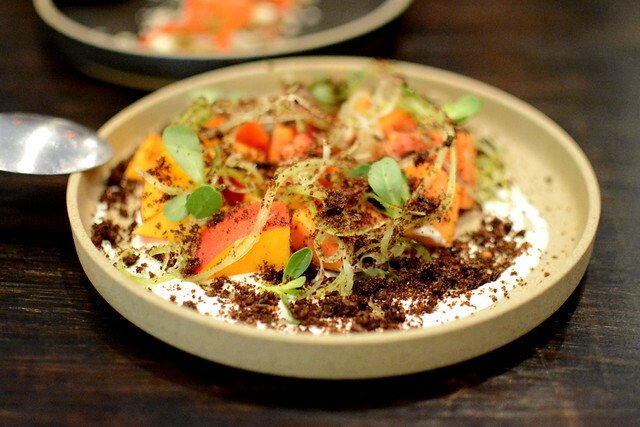 The first plate centered on “Nectarine” ($14) with Syrian feta, celery, pigweed, sumac, rye, and lemon. Next we moved on to a duo of raw fish preparations. First up was the “Scottish Salmon” ($10) with lebni (strained yogurt), horseradish, ikura (salmon eggs), dill, tomato, and onion. 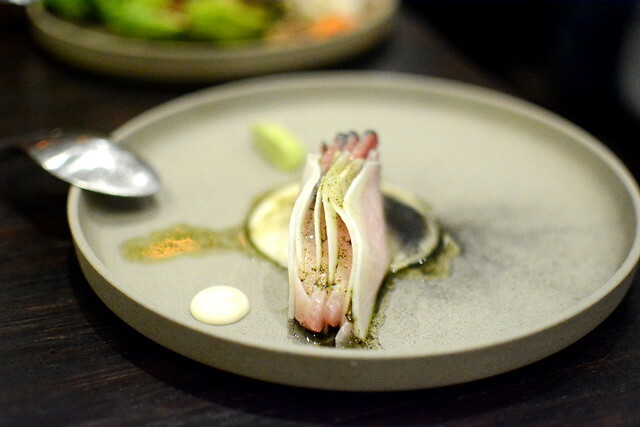 Second up was the “Hiramasa” ($14), one of the most memorable dishes of the night. The delicately sliced fish came sandwiched between radish slices and accented with wakame (seaweed), serrano, onion, and charcoal. From its unique composition and presentation to its standout flavors, this one really impressed. 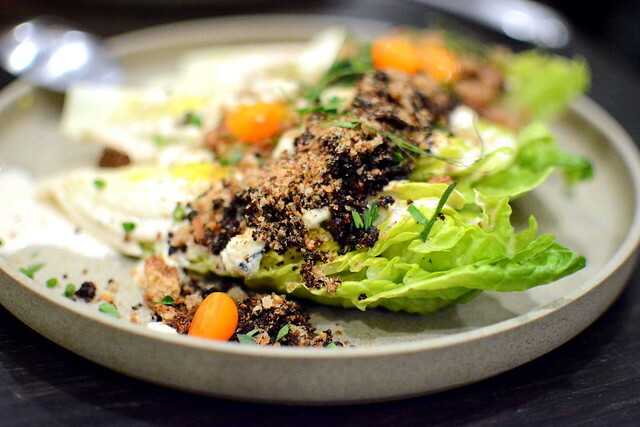 We also adored the “Lil Gem Lettuce” ($12), fabulously crisp boats of butter lettuce flourished with blue cheese, herbs, five spice, and best of all, Chinese sausage. Here’s to the wedge! The Old Bay-kissed “Baby Octopus” ($12) arrived partially submerged in a rich and velvety pool of La Ratte potato with celery. 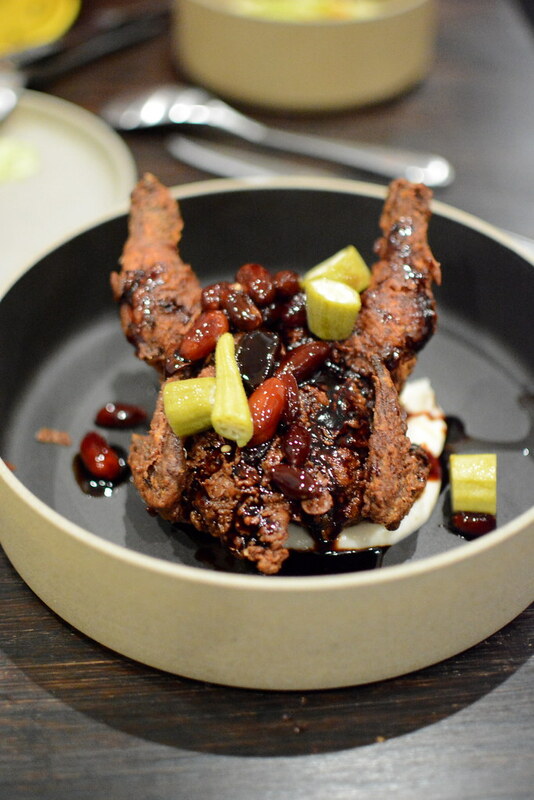 The highlight of our meal had to be the “Cornish Game Hen” ($32), which was fried to a blistery bliss. Drizzled atop was an unbeatable Chinese black vinegar gastrique with raw peanuts, okra, cauliflower, and cacao. The unexpected combination of ingredients coupled with flawless execution made every bite of this lil’ bird an event. We ordered two dazzling sweets to finish. The “Strawberry” ($12) with crema, brown sugar, sablé (shortbread), and fennel brought together an intriguing mix of flavors and textures. The delicate and sandy sablé shavings had to be my favorite element. 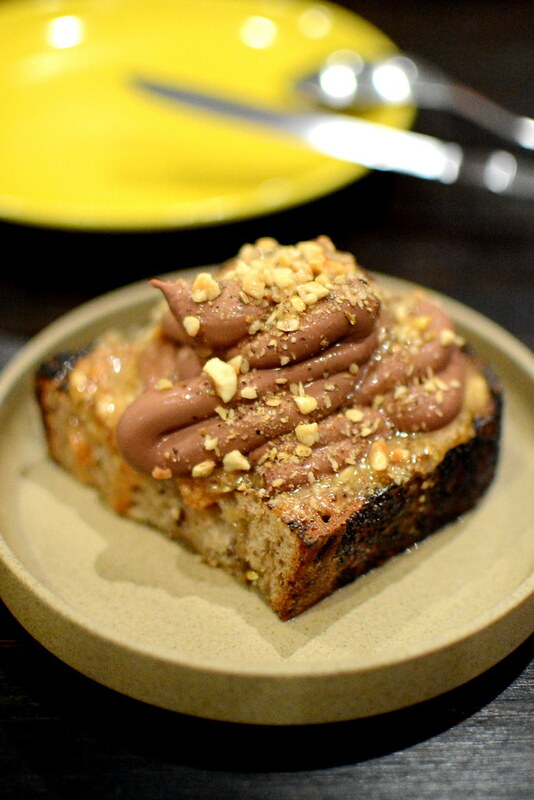 The “Chocolate” dessert ($9) featured a thick slab of seeded bread, toasted and charred in all the right spots, mounded with a chocolate-hazelnut spread. Sprinkled on top were additional nuts and sea salt. 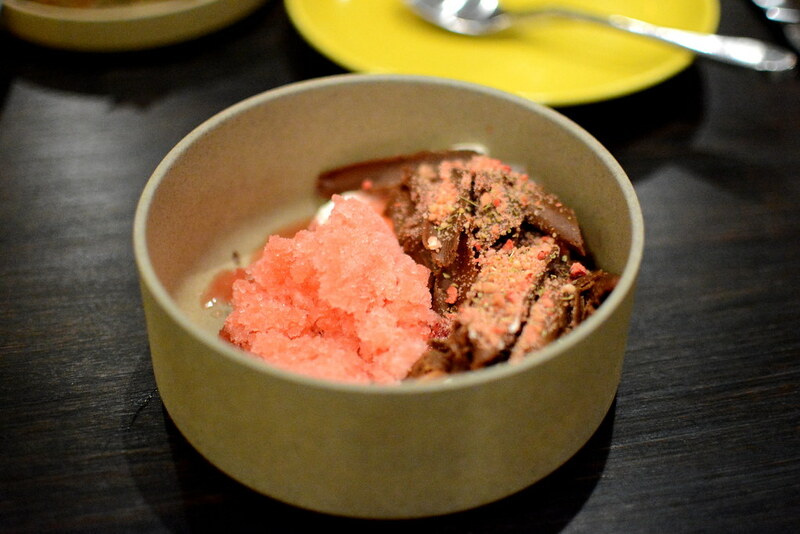 I loved how this dessert had it all—sweet, salty, bitter, and rich. 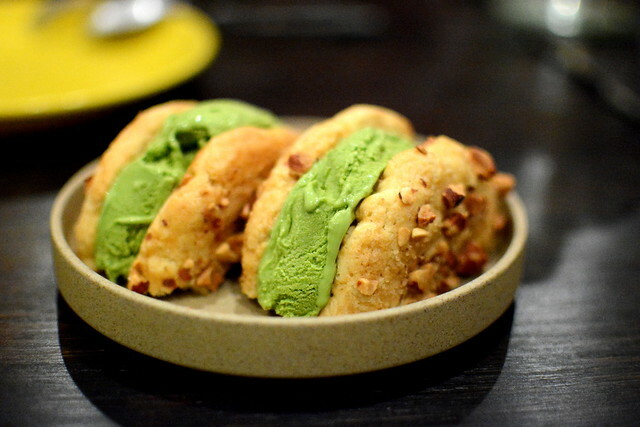 Last but not least, our gal Lien sent over an ice cream sandwich with hyssop ice cream and Chinese almond cookies. Here’s Looking at You keeps getting better with each visit. We’ll be back. Obviously. 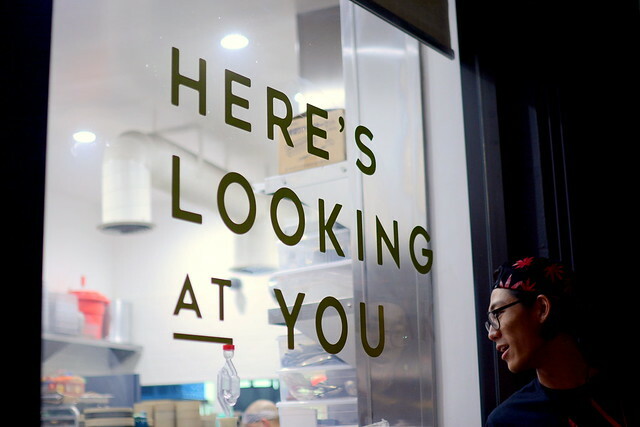 Easily one of my favorite meals of 2016 was at Here’s Looking At You. Fabulous place!